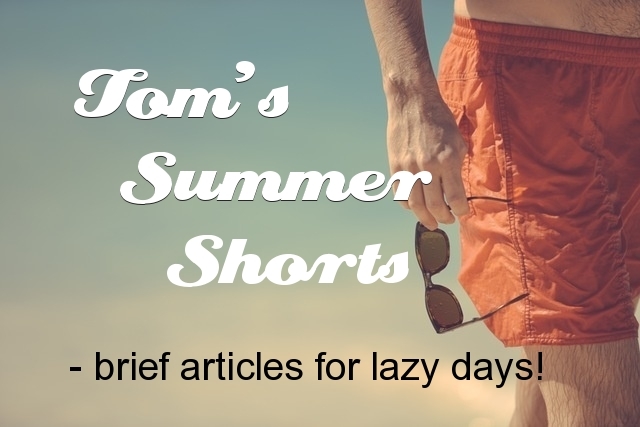 "Joseph And His Coat Of Many Colours” is the 15th and last in my 2017Tom's Summer Shorts series of holiday press releases sent from my happy home in the sunny south of Portugal. All being well I'll return with more 'Shorts' next year - and further glimpses of my 'coat of many colours'! I was born in Scotland. It was memorable for the fact that my mum was in Australia at the time! But in time she forgave me that inconvenience and knitted for me from left over pieces of wool my first bathing costume. It was emerald green, banana yellow and held up by suspenders with large gold buttons. I debuted as the only four year old transgender canary at the local pool! The other kids could barely conceal their mirth so didn't try ... and chucked me into the deep end for an extra laugh. The lifeguard of the day was equipped with a twelve foot long pole with a hook on the end to ensnare the swimwear of those in difficulty. But when he tried to fish me out of the water with it, my wool costume simply unraveled. Another bather eventually dragged me unconscious to the side and applied resuscitation. When I came to my mother was so relieved that she smacked me round the ear as punishment for ruining my swimming costume. Then she sent me to nursery school wearing a smock she'd made from old curtains. The standard issue smock bought from the posh department store in town and worn by every child except me was a light beige in colour. My one featured green foliage, massive pink flowers and frills! 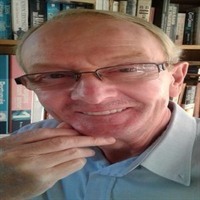 That and the fact that I was a Joseph (a name considered 'sissy' by the other kids in that time, place, culture) guaranteed continuous hilarity for all ... and a lions' den of misery for me. But the time came when an enactment from the bible story of 'Joseph and His Coat of Many Colours' would be performed by the class. I had the name and I had the coat, I was a natural for the part! A star was born. Following that success never again would I be ridiculed and my mother's reputation as a bohemian fashionista of remnant clothing burgeoned. So to this day I stand up for myself and tend to support any who I see being taken advantage of. I treat others respectfully and expect no less in return. Life can deal an apparently bum hand ... canary swim suits and flower emblazoned smocks ... yet it's how you play the hand that counts. You can choose to fold and accept an existance of moribund mediocrity … Or you can go all in and seize the prize of a glittering life. You can be Joseph and his coat of many colours. Try it for size! JOSEPH AND HIS COAT OF MANY COLOURS is an original copyright Tom Riach press release, short and to the point. I hope you enjoyed reading it and found it informative and/or entertaining. To learn more or to get in touch with me please visit me on my website at WAKE UP 2 WEALTH.